Inform: bring in and share the data, knowledge, and insights. Ideally, this is shared before the meeting starts so that participants come prepared. However, often initial few minutes of most meetings are utilized to share information and bring all participants up to speed on the subject. Recommend: either the host or any other attendee can propose an action plan. This initial proposal is often a straw-man proposal that encourages further discussions through which the eventual proposal emerges. Discuss: discuss veracity of the information and effectiveness of the recommendations. Through discussions alternative recommendations emerge. Discussions in many meetings do have the tendency to get wildly off-topic. The host needs to keep an eye on when to let the ideas flow and when to rein in. Agree: eventually, the discussions should be driven towards some agreements. It is important to make sure that some agreements are reached and recorded in meeting minutes. Together with decisions, agreements are one of the outcomes of meetings. 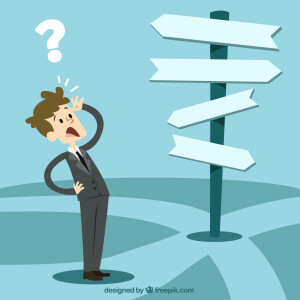 Decide: decisions are the key outcome of meetings. Business management can be described as a series of decisions. Meeting is the most efficient tool to achieve collective decision making. Execute: this is about putting the decisions to action. This typically happens outside the meeting. It captures the operational aspects of business. This is what most people would call “real work”. Strategic: These are decisions with a longer time horizon and typically made with less data, more vision and more associated risks. The time horizon for these decisions could be in years. Tactical: These are short term operational decisions. The time horizon for these decisions are typically in days, weeks, or months. Typically, tactical decisions are more data driven than its strategic cousins. There are a few common pitfalls around how decisions are arrived at in meetings and executed that one needs to be cognizant of. Below is a discussion on some of the common issues with decisions and some suggestions on how to avoid them. The worst thing that can happen to meetings is when everyone walks out of it with a different idea of what decisions were taken. Yet, this is a common issue with meetings in many organizations. It is important to save some time in the end of the meeting to explicitly state the decisions and also record if there were any disagreements. Most decisions would need commitment from multiple stakeholders. Recording a disagreement makes people feel heard and makes it that much easier to emotionally commit to the decision. It’s a fine line between autocracy and decision paralysis through endless analysis. Try to achieve a consensus. Make sure everyone is heard. But, eventually drive towards a decision and make sure that the dissenting voice is as much onboard and committed as everyone else. If you sense some decisions will attract more than its fair share of spirited discussions, it might be a good idea to have preparatory one-on-one meetings with the key stakeholders before the meeting and get a good understanding of the issues involved and build a consensus before going into the meeting. That way most of the discovery and hopefully even agreements are reached before the meeting. The meeting in this case should be used to get commitment from all stakeholders and charting out a plan of action. Note that while one-on-one meetings can be more efficient to build consensus, the social commitment in larger group with all stakeholders always helps. Make sure to involve all the above type of stakeholders in the decision making process. Everyone needs to be heard to arrive at the right decision and then carry out the action plan based on the decision. This should reduce the number of instances one would need to revisit decisions.